A traffic policeman goes live on Facebook from the balcony of his Kathmandu home from where the snowy mountains used to be visible. He cannot even see Swayambhu because of the smog. His daughter gets a coughing fit, and the camera is abruptly turned off. The policeman is reprimanded for embarrassing the government, and asked to delete the video. Instead, he resigns and files a writ petition demanding better pollution protection for traffic police. This is how the second episode of the teleserial Singha Durbar – 2 starts. The second season of Singha Durbar is like fantasy land: Nepal has a female prime minister who is not into wheeling-dealing and cronyism, but grapples with health and environmental issues. We keep being reminded rudely of reality as Prime Minister Asha Singh struggles to keep her coalition together while vested interest groups try to wreck her plans to solve air pollution. She pushes through a bill forcing auto dealers to also import electric vehicles, asks the Ministry of Environment to come up with an action plan to clean up Kathmandu’s filthy air, and provides traffic police with industrial grade masks. She even gives back the fired traffic policeman his job. Reel life politicians in Singha Durbar are doing what Nepal’s real life elected governments stubbornly refuse to do: protect the health of citizens. Viewers on tv and YouTube can learn how a government should function while being entertained – this is infotainment with a powerful contemporary message. As in American tv dramas West Wing or Veep, Singha Durbar recreates the corridors of power, while employing social themes often ignored by Nepal’s politicians today. This is not comedy, nor is it an action thriller that makes you wait for every episode with bated breath, it is a sober and slow-moving drama. 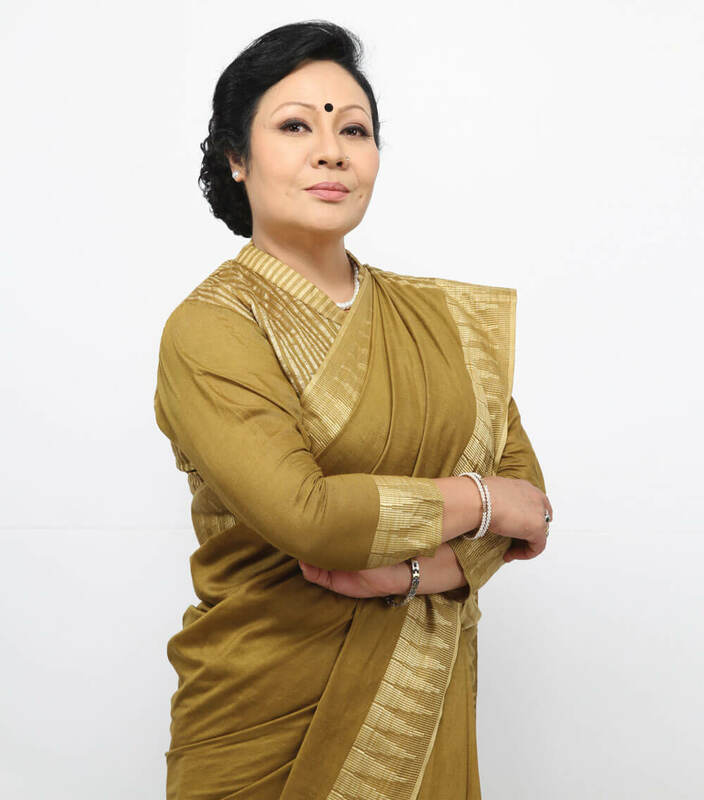 Gauri Malla, who plays Prime Minister Singh, says it may take another decade or so for Nepal to have a female prime minister, and adds that the serial is not trying to portray reality, but the aspirations of the people regarding politics. “What would I want my prime minister to be like? I want her to be able, wise, charismatic, and want her to prioritise the people above everything. That is how I approach the PM’s on-screen persona,” Malla told us while on the sets of a forthcoming episode this week. Prime Minister Singh is a civilised, soft spoken, almost demure, leader – a far cry from the chest-thumping alfa males who prowl the real Singha Durbar. Singh succeeds in finding solutions to knotty national crises like air pollution, food security, education, unemployment through behind-the-scenes lobbying. She even gets the Health Bill passed — something Govinda KC has not been able to do in the actual Nepal. Singha Durbar dares to dream of a democratic Nepal where leaders are answerable to the people and who believe in service and performance. Singh has to fight to keep her coalition intact, and in doing so proves that clinging to power can have a positive connotation when there is a mission to be accomplished. The production (funded by USAID, UN agencies in Nepal, and the Nepali diaspora) is unabashedly idealistic, but Singh is not averse to playing a few political games herself, bargaining here and compromising there. Her negotiation style is decent, however, and tame compared to the dog-eat-dog ways of her rivals. Nothing seems to corrupt Singh: when someone tells her that the party is greater than the individual, she replies that the country is greater than the party. Applause. The script, cast and storyline all portray an inclusive Nepal. The Prime Minister’s personal secretary is a Tharu, a Muslim woman is Speaker of Parliament, Madhesi leaders are Singh’s staunchest supporters, a Sherpa minister is the voice of her conscience, and the Health Minister is a scientist who refuses funding from a pharmaceutical company. Despite its sluggish storyline, Singha Durbar had an audience of 6.67 million in the first season and was the fifth most-watched tv show. The other reason for its popularity is the series’ meticulous production values, the taut storyline is supported by excellent acting and direction. Compared to the last season, the plot is even more realistic and delves into the background of the characters. At Baluwatar, the prime minister herself grapples with issues that many working women face: the need to care for her family despite her hectic schedule, the overt jealousy of a less famous husband whom she calls ‘timi’ and sometimes cooks cooks for. By the end of Episode 3, Prime Minister Singh brings together the leaders of South Asian countries to collectively pressure Gulf nations to treat migrant workers better. The message: nothing is impossible in actual day-to-day politics. More than the Nepali public, this is a must-see for the current political leadership.